A circular polarizing filter should not be confused with a linear polarizing filter. The linear polarizing filter will not work for most digital cameras due to the way the light passes through it and how the camera sensor interprets incoming light. The circular polarizing filter, however, will work. Using the circular polarizing filter is a straightforward process. Just apply it to the end of your camera via a filter holder or other apparatus. Or, it may just screw right into the end of your camera (my preference). However you do it, once applied you rotate the filter itself while looking through the lens preferably at the sky or a reflective surface. You use this filter by aiming at the intended subject so that you are 90° from the light source, usually the sun. Then, with your image composed in your lens, rotate the filter itself until you can see the reflections disappear and the sky become bluer in color. Then, you know that you have the filter properly adjusted. Take your shot and marvel at the most vivid colors and the clearer image that you obtain. By increasing the blue saturation using this filter, your photos will have better-looking skies and more vivid colors overall. By reducing the reflections from objects, you will be able to reduce the amount of “blown out” areas in your photo and lessen the amount of highlight issues that you have. Detail will be kept in those areas due to the filter is filtering out the reflective light and minimizing the highlight warnings. The “greens” of foliage also benefit because of the reduction of reflected light off of the leaves, making them appear more vivid. The only negative thing that can happen is that this filter will sometimes give a cold bluish cast. 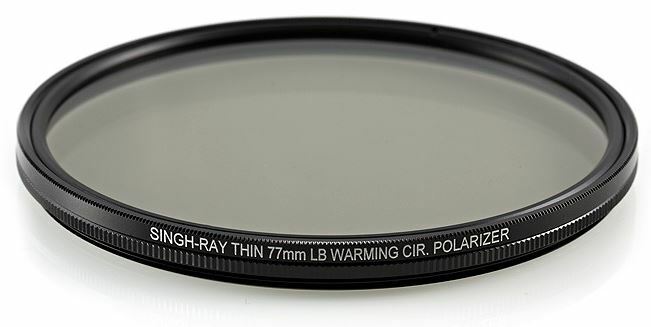 Fortunately, there are “warming polarizers” like the Singh-Ray LB Color Combo, Singh-Ray LB Warming Polarizer, and the Hoya HRT CIR-PL UV filter that each gives a slight warm color to counterbalance the cooling of the polarizer. I would recommend this type of filter. Remember, when using a filter like this or any filter that can alter the color of the light entering, set your white balance to a fixed setting and not automatic. Not AWB. I choose Daylight and find that it works about 99% of the time. It may seem redundant to have both the white balance set to Daylight (a warm color temperature) and use a warming polarizer, but the effect I get is the best for my photos. I could just change the white balance in post-processing, but I find it best to get it in the camera at the time the photo is taken. For wide angles, the filter may not function as well as you would like, because it can only polarize a portion of the view and usually a wide-angle lens exceeds that amount. As a result, you will have a partially filtered sky, for example, with dark blue in some of the frame and lighter in the other. Just keep this in mind when composing the photo, and compensate for it later in Lightroom if necessary. However, I have had success using a wide angle lens of 10-20mm focal length on my APS-C (Canon) sensor with 1.6 times multiplier (effective focal lengths of 16-32mm) with the circular polarizer. Another consideration is that the filter restricts light. Therefore, you’d think that you will have to raise your exposure compensation (EV) to compensate if your camera does not meter its light through the lens (TTL). You would be wrong. For most circular polarizing filters, the amount of light restriction will be 1 2/3 to 2 stops. Or between 1 and 2 EV. However, your camera (if on anything other than manual mode) will compensate for the reduced light entering, and raise the exposure value automatically by adjusting the aperture and shutter speed. Use your live view to see the effect and compensate accordingly to match what you see. You also do not want your camera to negate the effect of the filter. Along the same lines, it can be better to shoot with a bit more ambient light if you are planning to hand-hold with a polarizer. Otherwise, you’ll have to get that tripod out more often (later in the morning and earlier at night) to avoid blur. In any case, you’ll probably be using a tripod a lot more with a polarizer, and I would recommend you take one with you (just in case you need it) whenever you are shooting with a polarizer. The circular polarizing filter is one filter that absolutely can not be duplicated within Lightroom or any image editing software. You may come close in some cases, but you can never duplicate it completely. For this reason alone, you should use one on your camera. 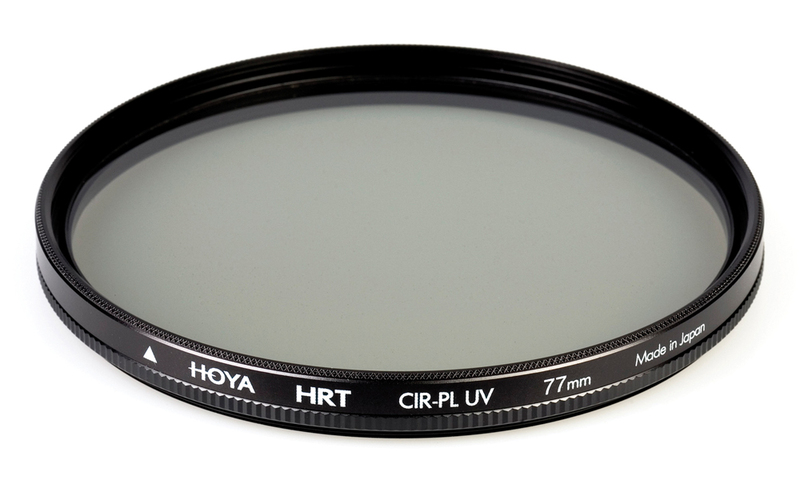 Whatever filters you use, buy your filters for your largest lens and get adapter rings for the smaller lenses. You will spend less money on filters that way. Experiment with the circular polarizing filter. See what happens. I think you will like it. Remember to rotate the filter to get the best adjustment. This is the most-often forgotten thing when I use my circular polarizing filter – I forget to rotate it to achieve the polarization effect! I’ve gotten into the habit of rotating the filter in the clockwise direction because I have had bad experiences when rotating counter-clockwise (anti-clockwise) as my filter has unscrewed from my camera and fallen into my hand (or worse)!